Man, oh man. This week has again been high on the nomadic scale. Living my life on the road (or should I say 'on the tracks' due to lots of train travel) has meant I haven't had my laptop with me which has made updating my blog midweek a little difficult! My frankest apologies for the hiatus. Anyways, I have some exciting news/ not-really-that-exciting-but-hopefully-interesting thoughts I'd like to share with you on this very chilly Autumnal Monday. 1) I am now a member of the Champion Up North team! I'll be writing for their Life section. This is really great because I'll get to review restaurants, scribble about coffee & the best places to booze, and essentially just explore more of Leeds, which in turn will feed into my blog. The two will go hand in hand. As you may have guessed from my previous posts, I'm really interested in Leeds and other cities in the North as they grow and become more and more devolved from our capital. On that note, did anyone go to the Yorkshire Awards on Friday? Look's like it was a party and a half with some fab winners. 2) After four days of EXTREME SUSPENSE, N and I have FINALLY found a flat. It's not 100% certain yet, as we need to go through all the admin stuff(/the boring bits) etcetera etcetera... but we are well on our way to landing our very own pad in Leeds. If things go to plan we'll be moving in on the 8th of November! How very exciting. 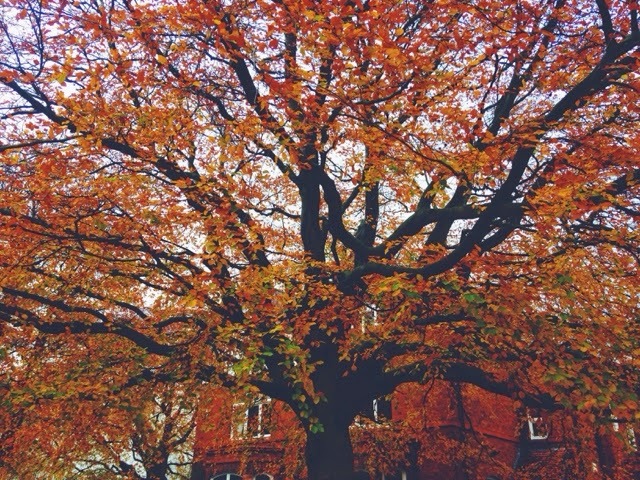 As much as I love being in Ilkley, living in the centre of the city will make life so much easier. ALSO hellooooo decorating! OH. Ma. Gad. I can't wait. Fingers crossed everything goes smoothly. Friends, readers, fellow bloggers, please all cross your toes for me. Reading: Above is what I've been reading! 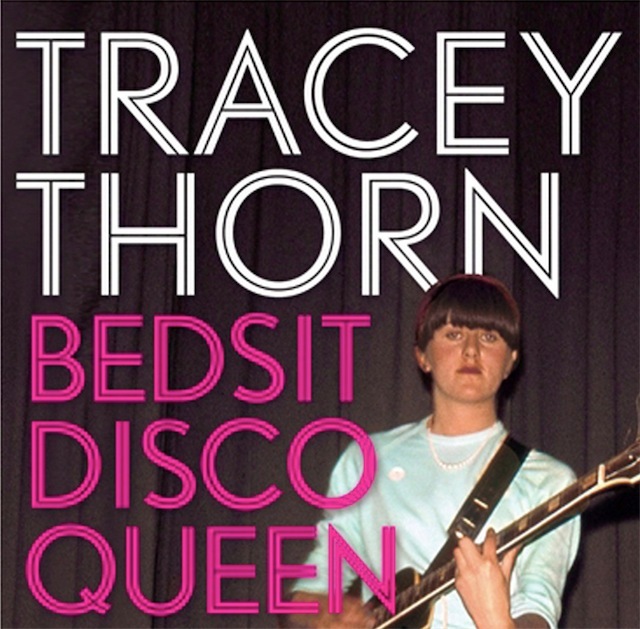 Bedsit Disco Queen by Tracey Thorn, member of the band Everything But the Girl. I'm not very far through it yet but Thorn has a very charismatic, naturally engaging way with words as she (so far) navigates us through her post-punk/bedroom beginnings. Listening to: Who else but The Beatles? This weekend I took a trip to Liverpool to see the sights, visit the museums, and generally soak up the culture of a city that is ingrained so absolutely in my very being. My Mum's side of the family are all from there, and my Dad now lives there with his girlfriend. Yes, I'm an honorary scouser! Ha ha you do not want to hear me try and attempt (massacre, more like) the accent. 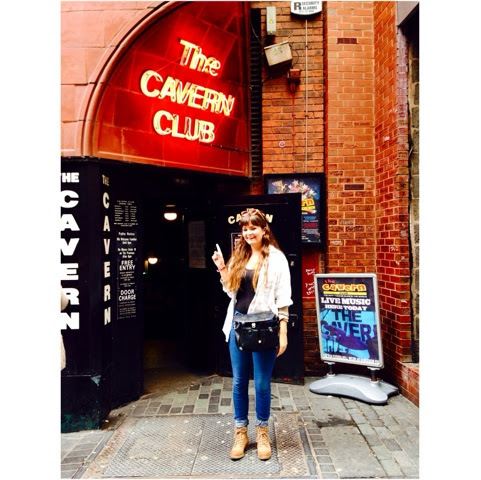 It's crazy walking down the cobbled streets of Mathew Street, with John, Paul, George and Ringo's faces forever emblazoned on the walls, to imagine what it would be like to be such a hometown hero. Imagine a road named after me in Brighton... Imagine a museum dedicated to me... Imagine all the people, living life in peace (yooo-hooo-oooooo)... I'll be writing a post very shortly where I'll go into a lot more detail about my lurvely trip. My favourite Beatles song would have to be either Here Comes the Sun or Something. Big fan of Georgie over here. What's yours?